Advertising on Bing is for ambitious companies that want to be one step ahead of the competition and closer to paying customers. At Green.Click our certified Bing specialists convert your marketing efforts on the search engine of the future into a profitable investment with measurable results. Are you utilizing the lucrative advantages of the internet’s overlooked search engine? Are you experiencing massive competition on your search words on Google and want an additional tool to achieve greater visibility at a lower cost? With Bing Ads you get the same advantages and features as with Google, only with less competition, cheaper click prices, and more top placements. Contact a Bing specialist from Green.Click and hear more about current Bing trends in your line of business and achieve the benefits of being a first mover. Why concern yourself with advertising on Bing when 9 out of 10 searches are performed on Google? In addition to lower click prices and less competition, Bing is to an increasing degree being implemented as the standard search engine on a number of units, including Apple’s popular iPhones and iPads. With visibility on Bing, you not only conquer market shares from your competitors but simultaneously prepare your company for the search engine of the future. 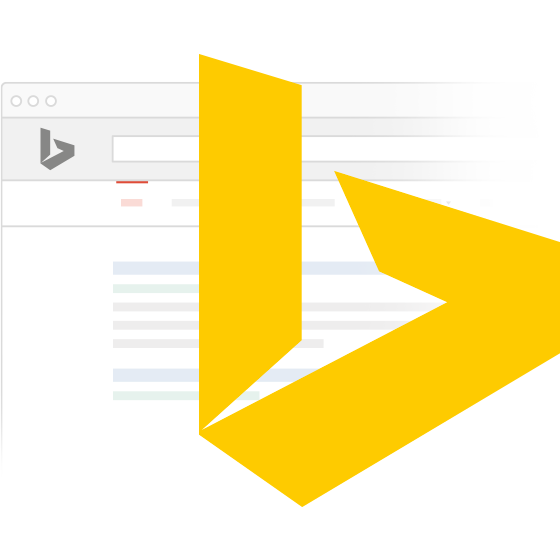 Combine your marketing on Bing with Google AdWords and achieve visibility on two dominant search engines. Reach customers who have previously visited your website and turn lost customers into paying customers.